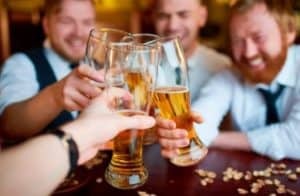 Amazing Clubs Beer Club Review (2019 UPDATED) Should You Join? Editor’s Note: I decided to no longer recommend the club as I’ve unsuccessfully tried reaching them for over a year. You can see our other beer club recommendations here: Our favorite monthly beer clubs. Amazing Clubs first started in 2003 as just a single gourmet gift of the club. The owner saw an opportunity for expansion and took it. In one year the business grew to 7 clubs total. 1 million satisfied customers later, Amazing Clubs has worked its way up to the top and earned it’s title as the largest online ‘gifts of the month clubs’. Not only do they offer their famous beer of the month club, they also offer 40 different other themed clubs that offer monthly deliveries. From bacon of the month all the way teddy bear of the month, Amazing Clubs has got you covered. But obviously you aren’t here for bacon or teddy bears. You’re here for beer and that just happens to be Amazing Clubs specialty. So, here is how it works. The Beer Club has a few different options that allow you to choose the frequency of your beer deliveries. These are broken up into 5 different options. 3 month, 6 month, 12 month and also a pay per month options is also available. The fifth option is a seasonal 4 month delivery option that arrives spring, summer, fall and winter. Each shipment is the same no matter the frequency you choose. Each shipment comes from two different breweries in four different varieties totaling twelve, 12oz. beers each month. If you’re absolutely in love with one of the beers that came in your variety pack, Amazing Beer Club provides discount offers and information to re-order a specific beer. If you haven’t already checked out our best beer of the month club review article, do it! It’ll give you a little more info on how we go about rating our beer clubs and the 5 different categories we factor in. One of the most important things to keep into consideration when choosing the right beer club is the variety and selection of beers. The Amazing Beer Club sends you a variety of four different beers from two different microbreweries each month, which totals 12 beers a month. This beer club includes nearly every single type of beer made, from light lagers all the way to syrupy stouts. So if you’re worried about getting the same type of beer each month, don’t be! Here is a list a few different types of beer that were sent out to the members of the Amazing Beer Club in 2017! Remember, this is just a handful of the different beer selections. You don’t have to worry about getting the same beer twice. Each month, the Awesome Beer Clubs panel of beer experts chooses a great selection of beers that receive their stamp of awesomeness. These experts base their decision to award this highly coveted stamp of approval off of the overall taste, smell, color and limited availability of the brew. The Awesome Beer Club is not going to send you mediocre beer that is easy to get, they’re sending hard to find microbrews that sit in the premium selection of stores that stretch all four corners of the US. Unlike some of the other craft beer of the month clubs, this one does not allow you to specify the type or style of beer ahead of time. Each month’s selection is a surprise. 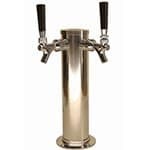 In my opinion, that adds a certain degree of excitement that can be easily taken away if you already know what style of beer you’ll be receiving. 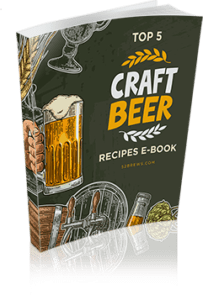 This is a great way to expand your palette and experiment with craft beers that you may have not normally picked up at your routine stop to the market. The Amazing Beer club does not offer much of a community experience like some of the other beer of the month clubs out there. 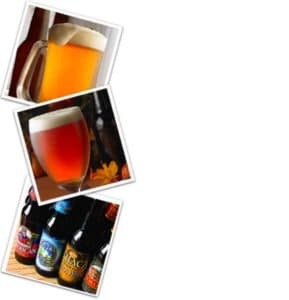 However, with each order you’ll receive their Beer Lovers Newsletter that explains the different beer selections as well as discounted offers if you’d like to re-order a specific beer that really caught the attention of your taste buds. Grab a membership for you and a buddy to share the experience of the newest selections! Most people don’t even realize that you can actually ship beer, which is somewhat surprising to me. Often, a craft beer of the month club can be a beer enthusiast’s first experience getting beer shipped to their doorstep. If it is your first time and you’re nervous about it, don’t be. You’ll find that it is pretty exciting pulling into your driveway and seeing a package full of mystery beer from all over the nation. This craft beer of the month club has taken the time to carefully perfect the art of shipping precious cargo like beer right to your doorstep. 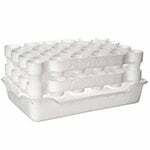 Each shipment is delivered in packaging that is specifically designed to protect the beer from breakage and spoilage to ensure that you get the absolute best experience possible. In pretty much every circumstance, customer service is important. When something goes wrong, the last thing you’re going to want is for someone to hassle you for it. 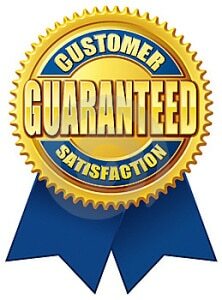 Amazing Clubs has dealt with over 1 million customers over the past 12 years and has definitely conquered the art of customer satisfaction and service receiving over 99% customer satisfaction. If you are at any point unsatisfied with your service, you’re welcome to cancel and receive a full refund on anything that is not already shipped. This means if your 6 months through a 12 month membership and decide it’s not quite right for you, you’re welcome to cancel with no extra fees. However you’re not able to return any product that has already been shipped. So if you aren’t a fan of one of the craft beer selections they’ve chosen, pass it to a friend! Joining a craft beer club is one of the only ways to receive award-winning beer from all over the nation without leaving your doorstep. With Amazing Clubs, although they do send out a variety of beers with each shipment, the beers were some-what average with what you’re paying for. The cost per 6-pack comes out to around $41.95 which is ok if you were paying for hard-to-find brews, but the beers we received were very mediocre. This is a no from us. 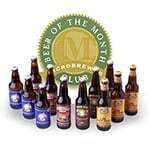 A better alternative would be the Microbrewed Beer of the Month Club. They’re our #1 recommended beer club and are one of the most expansive clubs to give you tastes from around the world for a price that will fit your budget. 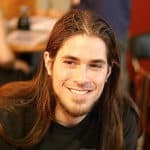 Mark is the creator and author of 52 Brews. He has over 10 years of experience crafting and experimenting with different beer styles. He now shares his learnings and techniques with this craft; all for the love of beer. 5 recipes of the most delicious craft beers we’ve ever come across. Delivered right to you for free. 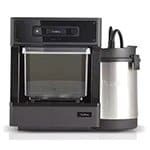 52 Brews is a participant in the Amazon Services LLC Associates Program, an affiliate advertising program designed to provide a means for sites to earn advertising fees by advertising and linking to amazon.com. Amazon, the Amazon logo, AmazonSupply, and the AmazonSupply logo are trademarks of Amazon.com, Inc. or its affiliates. 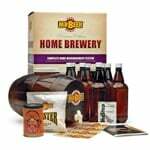 Beer Clubs Sale - Free Shipping + 3 FREE Bonus Gifts!